What is the Power from Positive Social Media Fans? 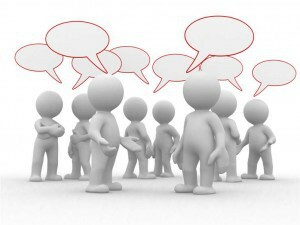 3ptechies » Internet » Social Media » What is the Power from Positive Social Media Fans? People who uses the social media tends to focus more on the negative comments of several customers and tend to forget that there are positive social media fans too. Social media has become a very powerful marketing tool. Both negative and positive comments can spread like wild fire. Positive social media fans can be considered as brand advocates that can help propel a business. Nowadays, most people talk online using various social media sites such as Facebook and Twitter. In fact, they talk more online rather than in real world. Hence, entrepreneurs saw this opportunity to put their businesses on the limelight with the help of social media. Nonetheless, there is truth to the saying that “you can’t please everybody” and this holds true even in social media. Businesses can easily receive positive and negative comments from their clients. Through the help of social media, it is easy to identify what can satisfy the customers and what could be the possible causes of displeasure. Business owners can immediately act on the customer’s complaints in order to turn a displeased client into a loyal patron. On the other hand, companies can be responsive on the positive feedbacks provided by happy customers. Exchange of tweets and replies on status updates and comments will certainly be rewarded because customers will eventually declare their loyalty to the business. It is a good idea to make your employees brand advocates instead of worst enemies. Majority of your employees have their own social media accounts, so why not use it to your business’ advantage. Start a training program about customer engagement in social media, then you can have an ambassador program for your business with employees as members. Later on, recruiting fans outside the circle of your company will become possible and these new recruits will become additional ambassadors for your business. Use the social media with enthusiasm. You want the personality of your business to shine through in your social media accounts. Make sure that your tweets are filled with zest and it is okay to initiate conversation with your followers. This could begin colorful conversation between you and your followers. Responsive company knows that positive social media fans are very important. Be careful in creating hashtags, make sure that these hashtags are in line with your image branding. The last thing that you want to happen is to turn your tweets and status updates into complete PR disaster. Come up with a strategy for your social media accounts. For small businesses, it is not recommended that to create more than 5 social media accounts from various networks. You want to be a responsive brand, it will be quite difficult to manage numerous social media accounts especially if you don’t have enough people to manage them. You can create plan to handle both positive and negative feedback from the customers. Business owners should keep in mind that customer service is not just about handling customer complaints. It is also about giving value to your satisfied customers. It is necessary to identify your positive social media fans and make sure that you do something to appreciate them. Obasi Ebenezer, popularly known as "De Gurusmaker" is a proud blogger who specializes on writing tips for webmasters, developers, & Wannabe designers. He enjoys talking, so feel free to connect with him on Facebook, Twitter or Google+.